Today we made it clear that we consider certain children’s upper outerwear garments involving drawstrings to be substantial product hazards. This vote is important and has been a long time in coming. It is important because the agency has received reports for years about entanglements and strangulations involving drawstrings. When an industry voluntary standard for drawstrings, ASTM F 1816-97, was published in 1998, it led to a dramatic reduction in fatalities and yet we continued to receive incident reports. This vote is a long time in coming because the agency should have moved sooner to make clear the agency’s position. In 2006, we posted a letter on CPSC’s website to the manufacturers, importers, and retailers of children’s upper outerwear, citing the fatalities that had occurred and urging compliance with the industry standard. Yet from 2006 to 2010, we participated in 115 recalls of non-complying products with drawstrings. While traveling in Southeast Asia last year, I heard from manufacturers and testing labs the request for the agency to clarify through rulemaking exactly what the law is. 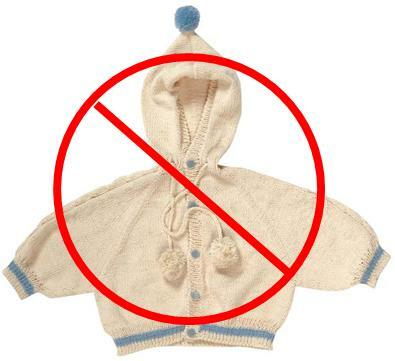 In May 2010, we published a proposed rule that would deem these children’s upper outerwear garments to be substantial product hazards. Since then I have continually urged my colleagues to finalize this rulemaking as quickly as possible so that manufacturers, importers and retailers were finally put on notice that we consider these products to be a substantial hazard. Today’s vote makes it clear: we have no tolerance for drawstrings endangering children on their upper outerwear. And I am glad to have helped bring this one across the finish line. When I started this blog, I wanted it to be an open conversation with consumers, companies and those who are impacted by what the CPSC does. The feedback I have gotten has been very helpful in informing my thinking on the various issues we are called upon to address. Today a majority of commissioners decided to discount the concerns that a number of small retailers have raised about the effective date of our new crib standard. I believe that the majority made the wrong decision. I believe that a modest extension of the rule’s effective date will not impact safety but will help small retailers. I want to share with you a note I received in response to this vote. This note sums up the issue better than I ever could and makes fighting the good fight worth it. All of the Commissioners are committed to assuring a safe sleep environment for infants and the technical aspects of the new standard demonstrate this commitment. Having said that, I believe that the Commission also has an obligation to roll out standards in such a way as to minimize disruption in the marketplace. In that, we have again fallen down in our responsibilities. The roll-out of the new crib standard has been unnecessarily chaotic. Besides the crib standard, there has been only one other major rule issued by this agency in its entire history. (A major rule is defined as one with an impact on the economy of over $100 million.) In spite of the crib rule’s significance, no cost benefit analysis was done so we did not have any real information in front of us when voting on the rule, about how the safety benefits of the rule compared to the economic impact of the rule, much less how to minimize that impact. The day care industry did protest that the rule, as proposed, would result in approximately a $1/2 billion hit to a group that could not immediately absorb costs of such magnitude, especially on the heels of having just bought new cribs to meet the standards of 2009. As a result, at the last minute just before finalizing the rule, the Commission agreed to amend the proposed rule to delay the effective date for this group by 18 months. There was no analysis behind this date; basically, it was pulled out of a hat. Now, just two weeks before the rule goes into effect, we are hearing from those in the rental industry who cannot get cribs that comply with the new standard and ask that we delay the effective date at it applies to them. We are also hearing from small retailers who are stuck with stranded inventory that they cannot sell, also asking for a delay. We are hearing that a significant number of small retailers will be facing substantial losses. This is even though the briefing documents we got last December, and on which we relied in voting on this rule, stated that there would be no significant impact on retailers. I am told that, in reaching this conclusion, no analysis was done on the impact of the rule on this segment of the market. At a public briefing this morning it was pretty clear that we do not know the true state of the marketplace. We heard that some small retailers have been able to accommodate themselves to the effective date of the standard and that a number have not. (It appears from reading the letters from some of those who believe they are in compliance that their beliefs may be somewhat misinformed.) The magnitude of the problem is unknown. An internal survey of 5 retailers found that those companies had at least 100,000 non-complying cribs in inventory. A survey done by a trade association representing one part of the small retailer community found that 35 companies had 17,500 cribs that cannot legally be sold in two weeks. The question of whether any of those cribs can be retrofitted is also unclear. Only 72 hours ago did we finally post some guidance on that subject but the letters we are getting into the agency also show that there continues to be much confusion out there. I have no sympathy for those businesses who did not take the steps needed to get ready to comply with this new standard. However, I have heard from many companies who have tried to comply but still find themselves with inventory valued in the thousands of dollars and soon to be worthless. Consequently I believe that some relief is warranted. The whole crib standard saga is a good illustration of how not to regulate. We rushed the standard out without doing the hard work upfront to understand the impact of the regulation. A cost benefit analysis would have shown us how to get the maximum safety impact at the lowest cost. At the time we finalized the rule we applied a band aid to stop the bleeding of one group – day care centers. This morning we applied another band aid for those who rent out cribs. We declined to staunch the bleeding of small retailers. Our actions today may have the result of driving some retailers selling perfectly safe cribs out of business. We will never know because we will never bother to find out. Once again, I find I am repeating myself: this is no way to regulate and the public deserves better. New CPSC Lab Opens Today! 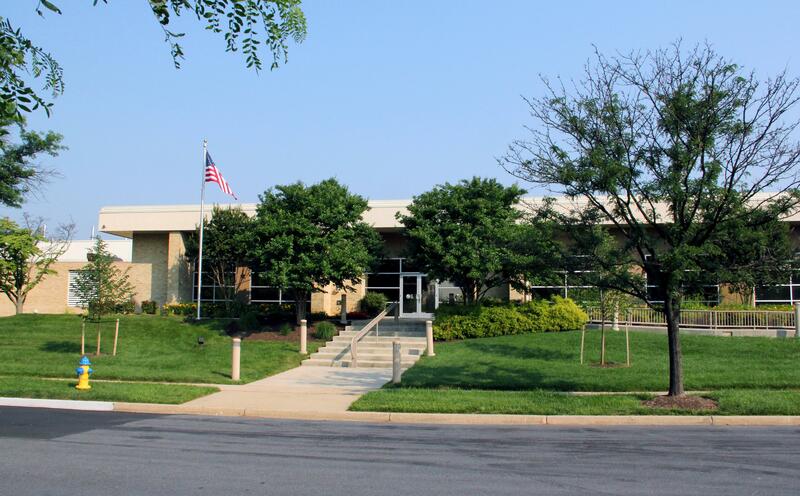 This week the agency is opening our new laboratory facility in Rockville, Maryland. This is a long awaited move for our staff. For years we have recognized that the old lab was outdated and needed to be modernized. This is a need I flagged for our Congressional appropriators back when I first assumed the role of acting chairman and, in that role, I was very pleased that we were able to finally sign the lease for 5 Research Place in early 2009. This came about only because of very hard work on the part of a number of senior career staff and, especially, the agency’s long-time executive director, Patsy Semple. Even though the time it has taken to finally move in was much longer than anticipated, the move will greatly benefit the agency, and ultimately the consumer. It is obvious that, for the agency to move into the 21st century, we need 21st century technology and facilities. With the new lab, this goal is being realized. Now our engineers and scientists will be under one roof and better able to communicate with each other, while still having close access to CPSC Headquarters. The space will allow for more product testing, more kinds of product testing, and quicker turn around on test results. I am proud that I, together with so many on the lab improvement team, could be a part of furthering our agency’s goal of protecting American consumers. I look forward to all the great things that will come out of 5 Research Place in the future and congratulate everyone involved in the process of upgrading our research facilities. We have all heard talk around the agency about the need to address the particular concerns of small business as we implement the regulations mandated by the CPSIA. Well-intentioned talk means nothing if the agency’s actions don’t match the words. Recently, I talked with an individual who ran a very small business making sling-type infant carriers. The company is now out of business. Here is the story I was told. Several years ago, a child died after being carried in the company’s product. The agency did an in-depth investigation of the incident but did not find a causal link or a reason to take further action and so notified the company. In 2010, the company was re-contacted by a representative of the agency who stated that we were reinvestigating all infant deaths in slings. According to the business owner, the CPSC representative told her that a recall of her product was likely but we needed to do an investigation first. In the meantime, she was told to immediately stop sale of the product until the investigation was completed. In response, the company pulled down its website (it being primarily a web-based business) and immediately stopped sale of all its sling products. A date was scheduled for a CPSC representative to come to the company to observe the destruction of the company’s product but the agency backed off until the recall became official. Weeks went by with no further word from the agency. The website remained shut down. The company finally received an email stating that no recall would, in fact, be done. The time between the initial contact and the email closing the investigation was approximately 8 months. Because this was a very small internet-based business with one type of product, it was not able to last with no sales through the prolonged investigation and was forced to close. The employees lost their jobs and the company owner was forced to default on an SBA loan which she had obtained to expand her business. This incident raises a number of important issues. For example, if we have not determined that a product contains a defect or is a substantial product hazard, are we justified in recalling it, based only on the fact that it is associated with a death or serious injury? When is it appropriate to “require” a stop sale during an investigation? Obviously, the answers to these questions need to be made on the basis of the facts in each individual case. As the circumstances of this case demonstrate, an across-the-board inflexible rule does not make the most sense. This incident also illustrates the need for the agency, once it opens an investigation, to manage that investigation to conclusion in an efficient manner. At the end of the day we did not find a problem warranting a recall with this particular product. I suspect this small business person did find a problem with our work product. Consumer safety is not advanced by such a result. And all the words about wanting to help small business will not give these people back their jobs. In my blog, I have repeatedly discussed both the need for this agency to do cost-benefit analysis as a part of our regulatory activities and the fact that this critical aspect of rulemaking is being regularly ignored by my colleagues. Well, it’s happened again. During a review of our mid-year budget adjustments, I offered an amendment to do a cost benefit analysis of the testing and certification rule now under development. Three of my colleagues rejected this amendment without even an explanation. It is inconceivable to me why a majority of the commissioners at this agency believe that it is acceptable to issue far-reaching regulations without knowing the economic impact of those regulations. I know that I have said this before and I don’t want to sound like a broken record. Nevertheless, it is important that the public understand that this kind of poor governance is occurring. Here is my official statement discussing my concerns. I read with interest Cass Sunstein’s assertion that federal agencies are working to eliminate excessively burdensome regulations (“21st-Century Regulation: An Update on the President’s Reforms,” op-ed, May 26). As a commissioner at the U.S. Consumer Product Safety Commission (CPSC), I can attest that no such activity is happening at this agency. We certainly have not combed through our regulations to eliminate those that are “out-of-date, unnecessary, [or] excessively burdensome,” as he suggests is being done across the government. Instead, we are regulating at an unprecedented pace and have pretty much abandoned any efforts to weigh societal benefits from regulations with the costs imposed on the public. The CPSC is an independent regulatory agency and therefore, technically, it is not required to follow the president’s executive orders such as the one Mr. Sunstein refers to mandating a “cost-effective approach to regulation.” In past administrations, the agency has always followed the lead of the Office of Information and Regulatory Affairs, which Mr. Sunstein heads, in such matters. However, under this administration, we have ignored the recent direction to look for and eliminate burdensome regulations. We are just too busy putting out new regulations. I have repeatedly requested that the agency do cost-benefit analysis on our various regulations only to have that request voted down by my fellow commissioners on a party-line basis. Consequently, we are issuing regulations without having done the necessary work to understand the impact of our actions both on those being regulated and on the public. As a result we have imposed regulatory burdens and caused people to lose their livelihoods without a real payback in terms of safety. At the CPSC, common sense regulation doesn’t even get a head-nod.